We have decades of experience in designing innovative concepts and developing functioning prototypes of consumer products and can provide assistance with patents, trademarks, licensing, and copyright matters. 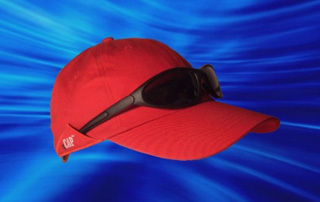 This patented technology is a superior and convenient holding mechanism for eyeglasses, sunglasses, safety glasses, prescription glasses, pens, pencils, golf tees, and small tools such as screw drivers, pliers, laser pointers, small flash lights on a variety of headwear. We designed, developed and produced several production prototypes of the various designs. 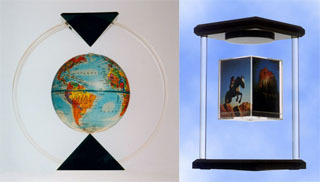 What goes up must come down, unless it's NEWTON™ the patented Floating Photo Cube. Suspended in mid-air, the mystifying photo cube contradicts the laws of gravity. 400K units were sold within 2 years world wide, substantiating the success of this product. We provided the conceptual designs, manufacturing specifications and functional prototypes of the various production models. 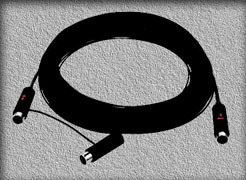 Another PC Design World original is the MIDI-Optimizer™, a fiber optic MIDI cable which exceeds the 50 foot limit of conventional wire cables. This compact and efficient design eliminates the need for external power supplies or batteries and easily handles 100% error-free MIDI data transmission up to 200 feet (63 meters). We designed and developed the MIDI-Optimizer and produced several functioning prototypes. The TimeLine™ series breaks with traditional clock designs and opens a new world of chronographic styling. 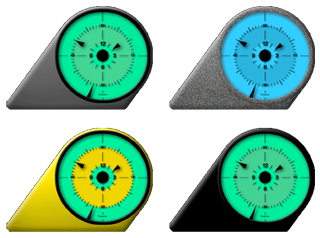 We designed, developed and produced functional prototypes of the TimeLine Series. These are just a few examples of the virtually endless variations. 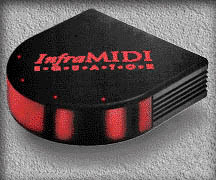 The InfraMIDI EQUATOR™ is the world's first MIDI-based smart infrared (IR) sampling module. Enabling complex sequencing of multiple IR devices such as VCRs, DVD & CD players, DATs, slide projectors and more. PC Design World designed the electronics, operating system software, and the industrial design for the EQUATOR and produced several functional prototypes. Throughout the project we also contributed patented designs and accessories such as PowerMIDI capability and other user-friendly features.